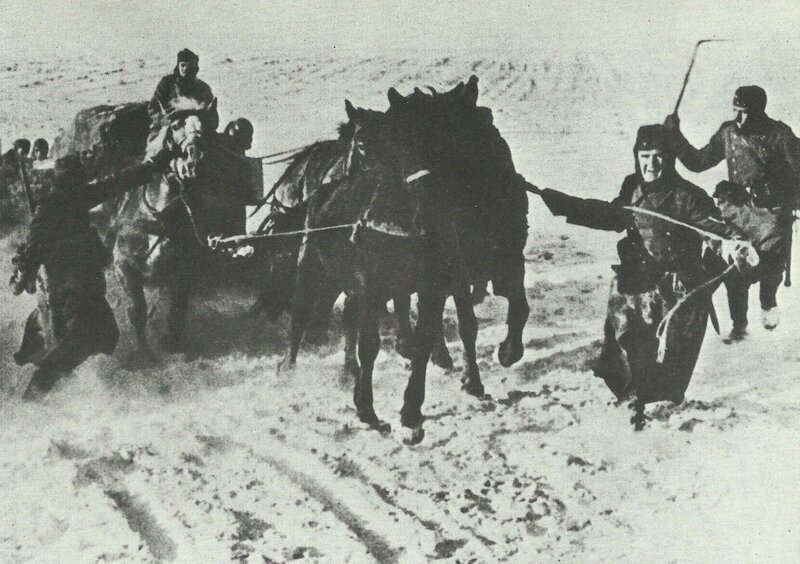 German soldiers bring supplies with horses through the deep snow forward. Southern sector: Russians recapture Barvenkovo, southeast of Kharkov. Dutch East Indies: Japanese troops land at Balikpapan and Kendari (Celebes). Pacific: RAAF bombs Rabaul (night January 24-25). Dutch bombers and American B-17s attack shipping at Balikpapan (repeated January 25, February 1 and 2).